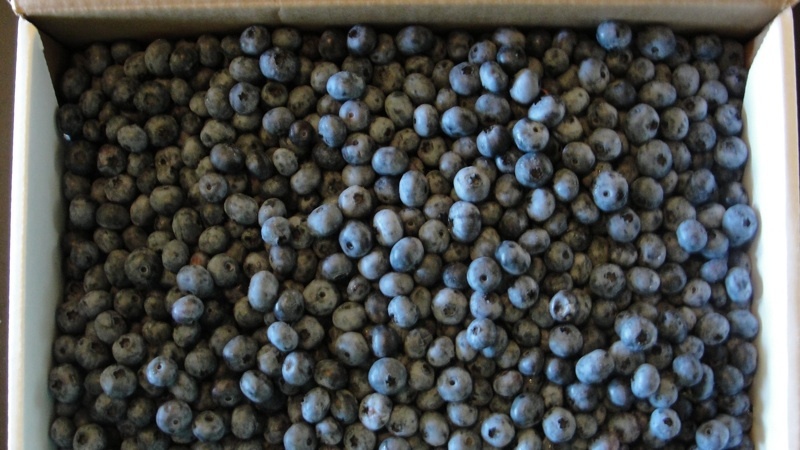 Unfortunately, I couldn’t find any u-pick places for blueberries here in Wisconsin, so last week I stopped at the Brennan’s and picked up a 10lb box of Michigan blueberries. I froze about 4 quarts and then made some blueberry crisp and still have about a pint leftover to snack on in the fridge, so I would estimate I got about 12 pints in the box. The price worked out to be just under two dollars a pint! That is awesome because I regularly see them selling in the grocery for about $4 a pint. I’m planning on using them to make Shawn’s grandma’s recipe for blueberry pie, for blue berry muffins and pancakes, and also to make smoothies along with the strawberries. I’m not going to make blueberry jam because neither Shawn or I are fans, but I am considering making some red raspberry preserves when they come into season. I am really starting to wish that I had a chest freezer, its getting a little crowded in the fridge freezer right now!